‘Tis the season for an abundance of flavorful beers. Our bountiful selection of winter and holiday seasonal beer offers many choices for soul-warming, malty, spicy deliciousness. When it’s cold outside, even in the milder winter climates of Arizona, Florida and Southern California, there’s something about this time of year that often makes the palate yearn for darker-hued beer styles. 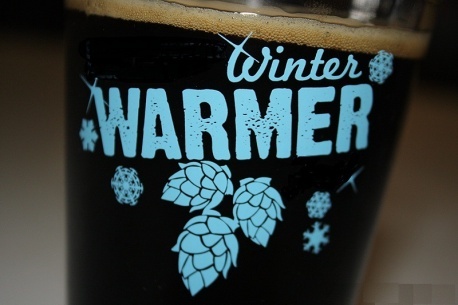 Brewers fulfill this desire with their many variations and interpretations of the unofficial beer style known as Winter Warmer. History indicates the existence of ales brewed for winter going back to the mid-1600s, when Northern Europeans enjoyed dark brews of stronger alcohol to ward off the chills of the coldest months. Mildly hopped ales were commonly heated up before drinking, with spices such as nutmeg or ginger and apples added. Today’s modern era of winter warmers began in the 1970s as interest in more flavorful beers developed in the United States, and through international travel and the arrival of a greater variety of imported beers, more Americans were introduced to winter and “Christmas ales” from the UK. The subsequent burgeoning craft (“micro”) brew movement in America bolstered the growth of this beer segment as craft breweries began brewing winter or holiday seasonal beer offerings. Anchor Brewing Co. of San Francisco is recognized as the first American brewery to enter this segment, annually offering its now famous and popular Anchor Christmas Ale for the first time in 1975. Holiday brews represent a wide range of beer styles in addition to Winter Warmer. Ranging in strength from less than 6% ABV to more than 8%, styles include Bock, Porter, Stout, Belgian, IPA and more. The flavor profiles across these seasonal offerings include something to tantalize virtually everyone’s palate. For a unique treat this time of year, serve some festive cookies with a spiced beer such as Harpoon Winter Warmer or Bison Gingerbread Ale (availability based on your location). These beers alone can be like liquid holiday-spiced cookies in a glass, and the combination can be heavenly! Be sure to check out your store on totalwine.com to discover the winter seasonal and holiday beers available for your enjoyment.